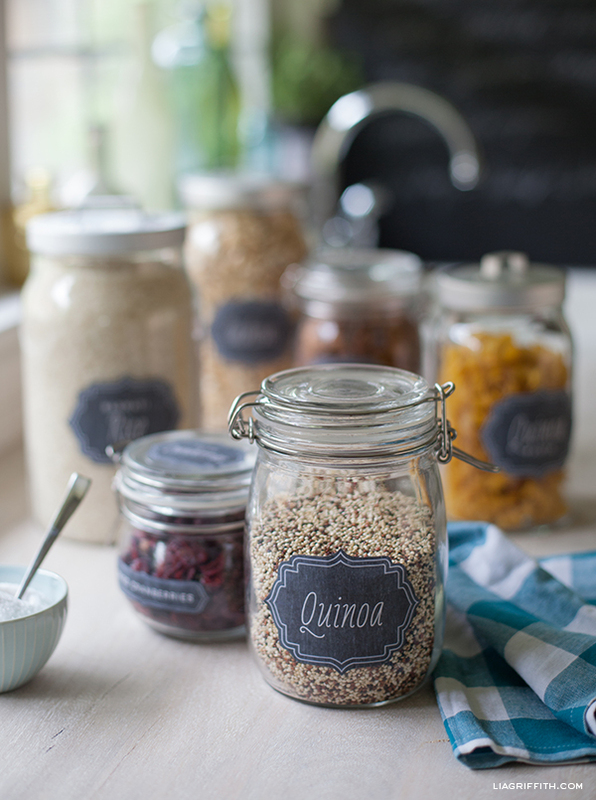 In a vintage chalkboard design, here is a full kit of pantry labels to add a stylish touch to your kitchen and even inside your cupboards. 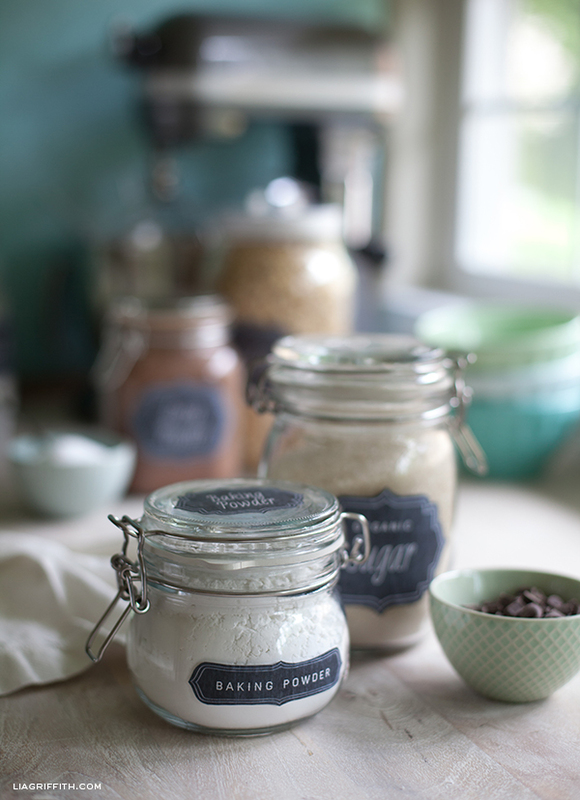 Designed by Lia Griffith of liagriffith.com, these labels are ready to print, trim and apply to all of your pantry jars. For those of you who have a gluten-free kitchen, Lia prepared another kit for your gluten-free baking flours and gluten-free pastas. All of these designs can be printed onto worldlabel.com full sheet labels. 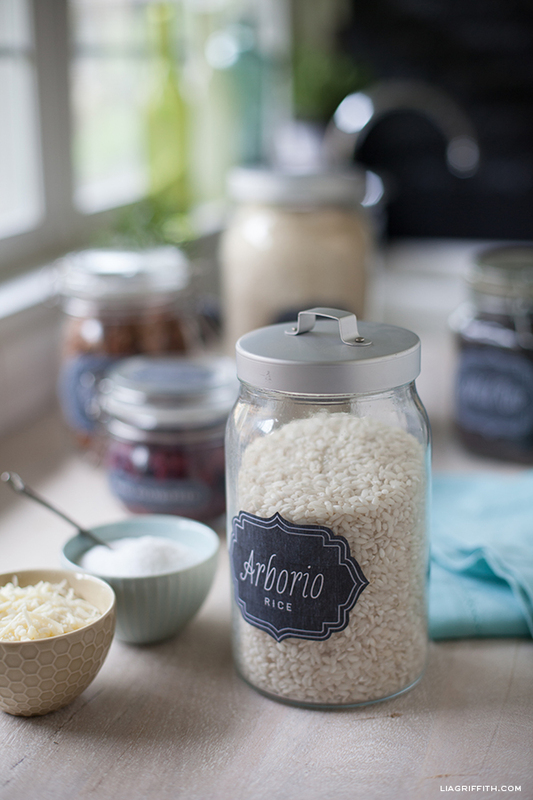 The labels are designed so that you can trim then as a rectangle or follow the bracket shape of the design. One tip Lia suggests is before you begin to trim the labels, peel and replace the backer so it will come off easily once you have cut your preferred shape. This entry was posted in Label Design, Labels & Printing and tagged chalkboard labels, free label templates, kitchen labels, labels, pantry labels, printable labels free label printables on May 9, 2013 by wlmanager. Is it possible to cut these on a silhouette? If so, how would that be done? Thanks. The Chalk board Pantry Label Kit does not work. Its keeps giving me an error when I click to download. Can this be fixed please? 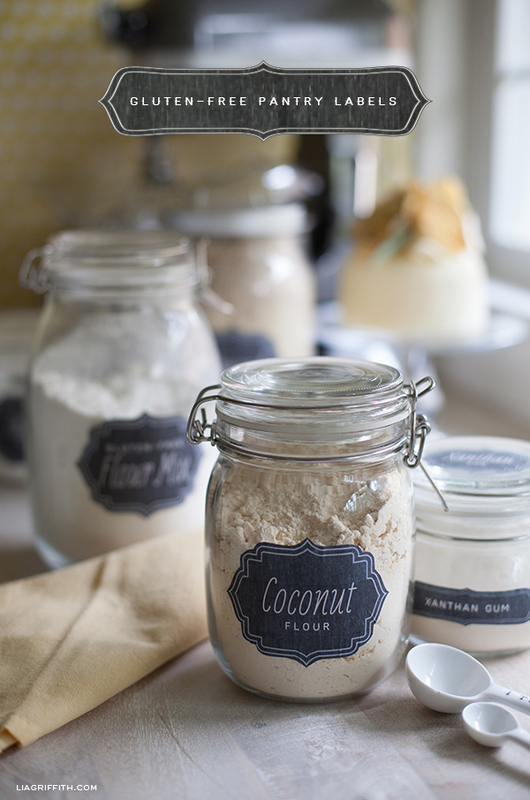 I love the labels and would like to download. 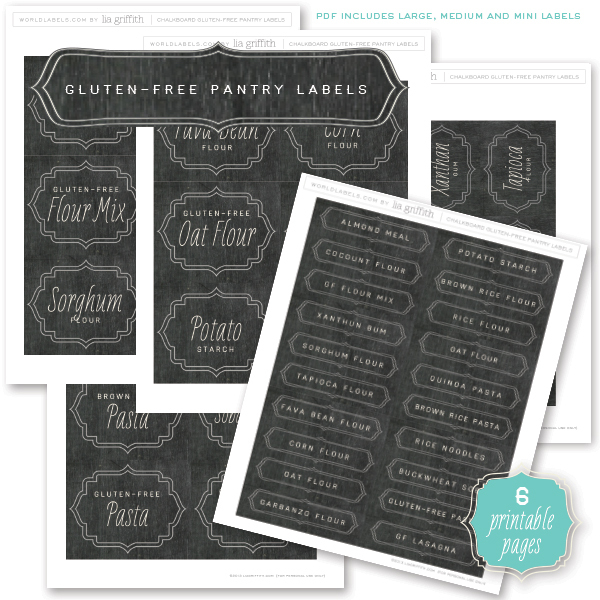 Right click on the image that says “download chalkboard pantry label kit” and save link as. Then open, it works fine. Enjoy! Still not working. Says its damaged and can not be repaired. When I tried it your way it still did not work. I would uninstall Adobe Reader and download a new version. Clear all your cookies. Or try donwload on another computer. There is nothing wrong with the file! I will email you the file.. 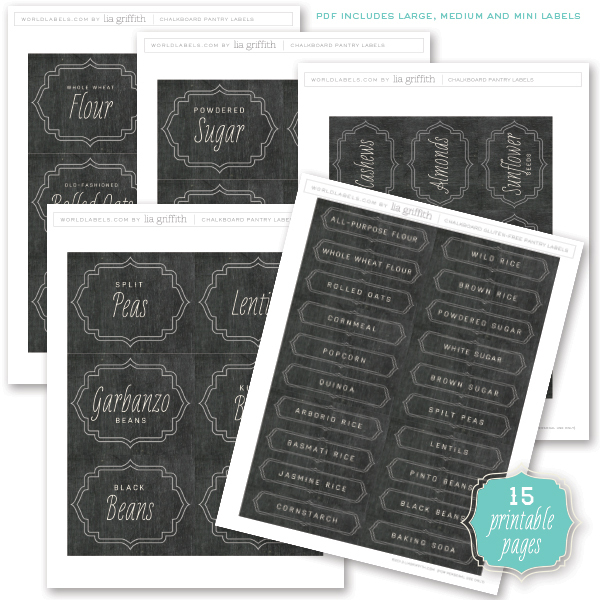 I am having a hard time downloading this file can you please email the downloadable images of the vintage pantry chalkboard labels! 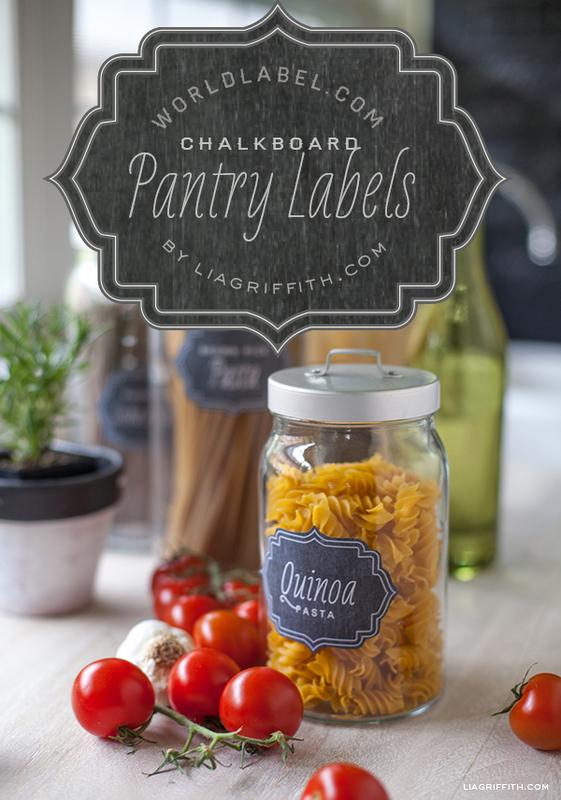 Is it possible to have blank chalkboard pantry labels sent? I love the labels but she has a lot of foods I don’t. Thanks! I love the herb/spice labels! Mine are such a mess!! Any chance of getting some blank ones (or did I not see them?) for other herbs/spices (i.e. store bought mixes or homemade mixes, etc)?? Having same problems as Chanel & Jessica. Followed your directions to correct. Getting error from Adobe that this file is damaged and can’t be opened. Would you please check the file? I also would like some blank ones. I haven’t seen a response yet to those asking. I need Pine Nuts, Barley, Raisins and just “Pasta” as I have no idea what kind I will get month to month! If you do offer blanks, if you could let us know the two fonts used so I could duplicate? Thanks so much! Can’t wait to try these out! Did you ever find out about the blank ones or editable ones. Does she sell them? From the bottom of my heart, thank you so very much, having Celiac Disease I very much appreciate the Gluten Free labels, and having a daughter with autism I appreciate all of the labels as it has saved me precious time. Hi Lia!! 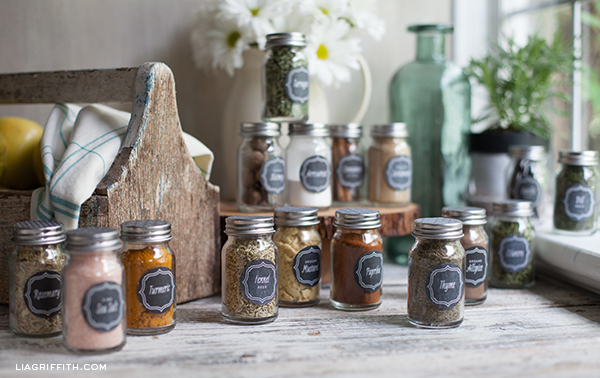 I’m a huge fan of your work, especially these vintage chalkboard labels both for herbs and jars! How can I purchase the blank sheets? And does it come with the same fonts? 🙂 (For both sets?) Thanks! Lia, Thanks so much for the gluten free pantry labels, they are so much prettier than the clear P-Touch strips that I have been using on my storage jars. I’d love to share a link back to the the GF Pantry Labels on my gluten free blog. Please let me know if that would be okay and if it is how you’d prefer it to be handled. I love your designs! Pingback: Free Printables Round-Up + Call for Blog Contributors!! I was wondering if anyone else noticed the spelling error on the small labels, “Spilt Peas” instead of “Split Peas”, kinda funny though! Hello, I got a funny brown colour when printed! Do I have to print in black & white?